Power play by Alaska here. Just straight denying the American right to walk home shitfaced. 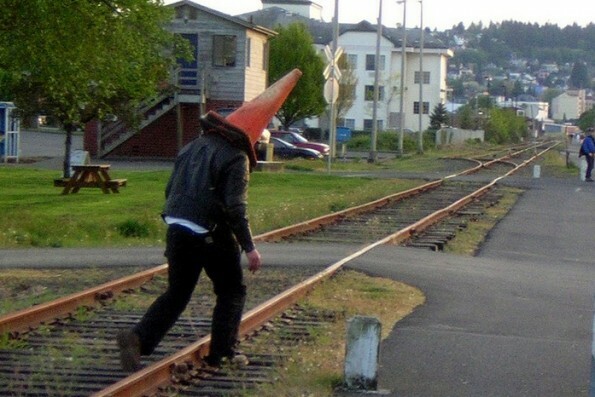 Hey, if people are walking on train tracks with traffic cones on their head I can see where you're coming from. Walking home while blacked out is a necessary process that social alcoholics have to deal with on Friday and Saturday nights that state government shouldn't interfere with. It's Darwinism at its finest. Those that are meant to survive make it home, order some Chinese and have a regrettable hangover. The weak will be found passed out on train tracks with a traffic cone on their head.